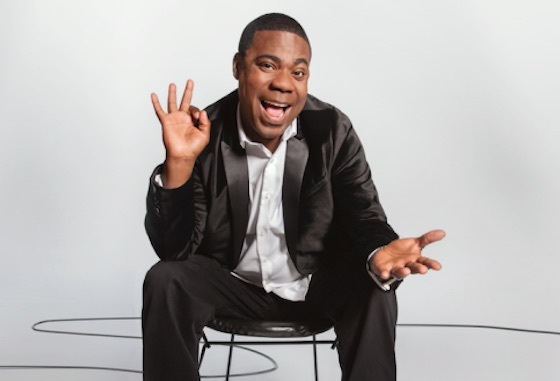 Last year, legendary Saturday Night Live and 30 Rock comic Tracy Morgan was put into a coma following a serious car accident. He's since made a full recovery, and over the weekend he had his triumphant return to SNL (which doubled as a 30 Rock reunion). Keeping things on the up and up, he's now announced plans for a stand-up comedy tour. Dubbed "Picking Up the Pieces" (who knew he was a Go It Alone fan), the trip will see Morgan telling audiences he's going to get them pregnant in venues all over North America. These include Canadian stops in Windsor, Orillia and Vancouver, with more stops expected soon. Check out Tracy Morgan's full tour itinerary below, where you'll also find the latest "Brian Fellow's Safari Planet" sketch — one of many highlights from his excellent SNL appearance.